Few things in life are as singularly pleasing as the love and companionship of a true friend. The opportunities to let them know how much you value them come at least once a year on their birthdays when you can let the language of flowers tell them just how much you appreciate having them in your life. The following five flowers are ways to say “thank you for your friendship” in the Victorian language of floriography. 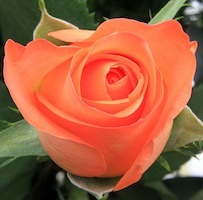 If you only give a single flower to express your friendship, make it a pink rose. With a wide ranging color spectrum to choose from, you’ll be sure to find the perfect match for your BFF. Deep fuchsias to pretty in pink pastels make it a lovely solitary flower wrapped together with greens or mixed with a variety of other hues of roses in a small vase. Pleasant-smelling and easy on the eye, these flowers are the perfect pick for a friend’s birthday. Whether used as a green along with other flowers or trellised on a wire in a pot, ivy is a fabulous way to thank a friend for always being there. 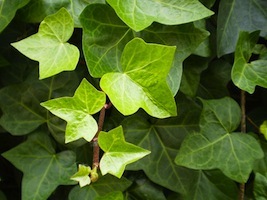 The glossy-leafed, vining ivy plant is a symbol of fidelity in many cultures and is a lovely houseplant that is very easy to grow. Send it over with a sweet card and a bow to remind your friend that you value what they bring to your life. 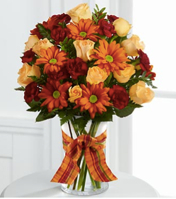 Available all year round in a variety of shapes, sizes and colors, the mum is a sunny, sunflower-relative that will add cheer and gaiety to a birthday arrangement. Consider the daisy-like varieties with a yellow center or the larger Fuji mums for a bit of flare. Tulips are the perfect springtime flower, and their popularity has helped ensure that they are now usually available year round and in a variety of colors. 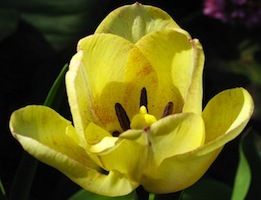 Yellow tulips send the message “thank you for being a friend” and will let your BFF know they are golden in your books. When we are young, our friends are neighbors who live down the street, but as we grow older, our lives are such that our BFF’s may live several time zones away. 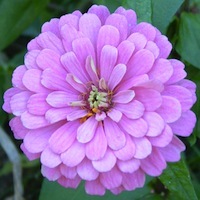 The bright and beautiful zinnia is the perfect flower to send friends in absentia to let them know you still think of them out their birthday.